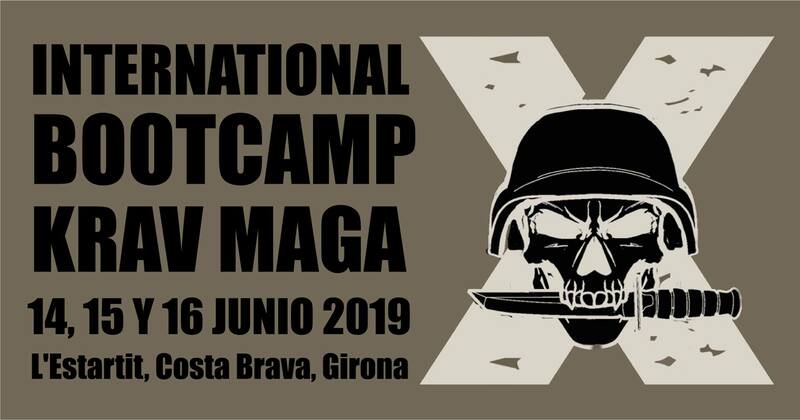 WHAT IS “CAMP X” BY KRAV MAGA WORLDWIDE BARCELONA? The bootcamp “Camp X” lasts 3 days and 2 nights in which you will live extreme experiences and will use Krav Maga self-defence and H2H (Hand-to-hand combat) techniques. The event includes 48 hours of H2H combat, handling of silenced weapons, neutralization of enemy force, CQB (Close Quarters Battle), how to treat injured people, night kidnapping, and much more. “Camp X KMW” is aimed both for people with experience and for those who want to get started with Krav Maga. You will learn to defend yourself in high-risk situations, where there’s no more place for negotiations and that can end in death, kidnapping, abuse and/or other situation in which your life or lives of your loved ones will be at stake, and you may only have one single opportunity to survive. EVERYTHING IN A MILITARY ENVIRONMENT. In this course you will receive the training needed to be able to survive in armed attacks and you will learn theoretical notions that will help you to avoid being taken as a hostage and, if that happens, increase your chances to survive . – Threats and attacks with edged weapons. Anyone with or without experience in Krav Maga, civilian or military personel can participate in this event. If you are interested in this event, please send an e-mail with your personal information at info@kravmagabcn.com. Please, indicate in that message your full name, your telephone number, and your e-mail. Once confirmed, you will get all the information needed to pay the course. The accommodation consists of 5 pavilions , five rooms with 8 beds in each rooms and a private bathroom. – It is strongly recommended to bring groin protectors, (whether you’re a man or a woman), shin protectors, MMA mitts or boxing gloves, mouth protector. You can bring other protective gear. The organization will provide some gear, and there will also be a shop where you’ll be able to buy some of the gear.